TOP SHELF “The Classic Rock Experience” is an Audio/Visual band presentation of legendary music from the golden age of Classic Rock…like no other! The band really sums it up with that statement taken from their website but doesn’t quite do justice to the sights and sounds of these talented musicians. Top shelf will zap you back to the golden age of rock and roll. Hailing from Long Island, and a frequent staple in the music scene, these accomplished gents have been rocking the island since the mid eighties. The 80’s however is where the music stops for Top Shelf. The group focusses on tunes from the “classic rock” era before hair bands got a hold of the rock connotation. The band covers everything rock from the Beatles, to Cream, Deep Purple, Hendrix, The Boss, Foreigner, Zepplin, Elton John, Pink Floyd, just to name a few. 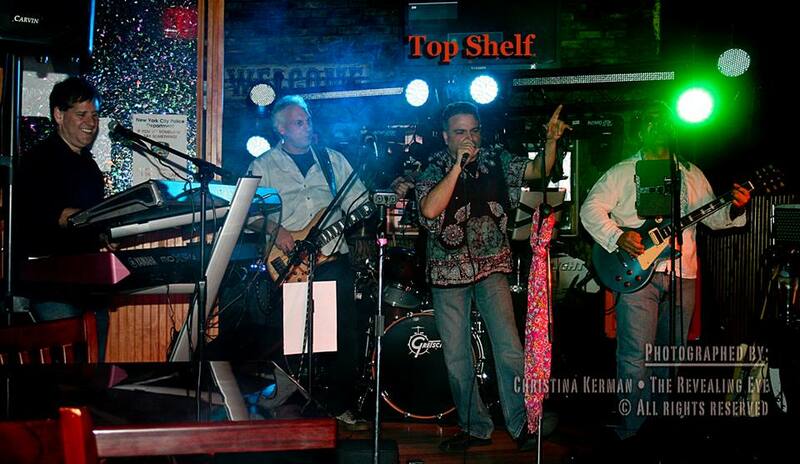 If its pre ’79 and rocks, Top Shelf will blow you away with their renditions of classic songs from the classic era.